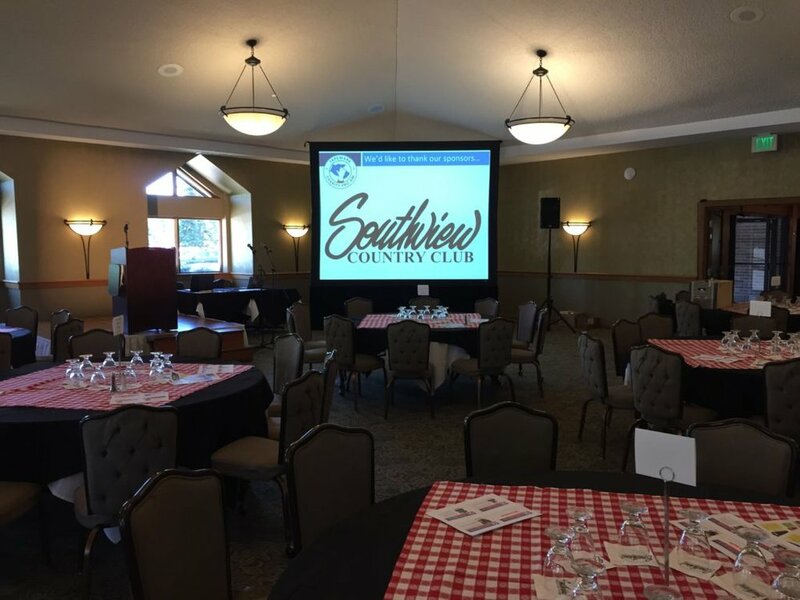 AV for You provided audio and video support at Southview Country Club for the 2017 Tapemark Charity Pro-Am. A large fastfold projection screen and an NEC 3,000 lumen LCD projector provided the video. QSC K10 powered speakers amplified the Shure wireless microphones and laptop audio.